Vietnam. Every single time I think of you, a million pictures run through my head. My eyes light up and a satisfied smile shows up on my face. Vietnam, I fell in love with you and you left me craving for more! When my friends or the people I meet ask me: “Why should I visit Vietnam?”, I can only say this: This country is one of my absolute favourite countries to visit in Asia. There is such a large variety of fun things to do in Vietnam! If it is beautiful scenery you seek, you will find it. If it is an incredible culinary experience you are after, you will explore it. If it is real country style living you wish to discover, you can see it. If it is history you want to learn, you will have it. If it is relaxation you are chasing, you will get it. Do I have to say more? You just need to simply experience it yourself! So, sit down, open your eyes wide and click through our amazing list of 15 super fun things to do in Vietnam! Take a 4-hour hike through the Muong Hoa Valley in the Hoang Lien Son Mountain in north-west Vietnam. One of the most picturesque walks that you will ever experience. 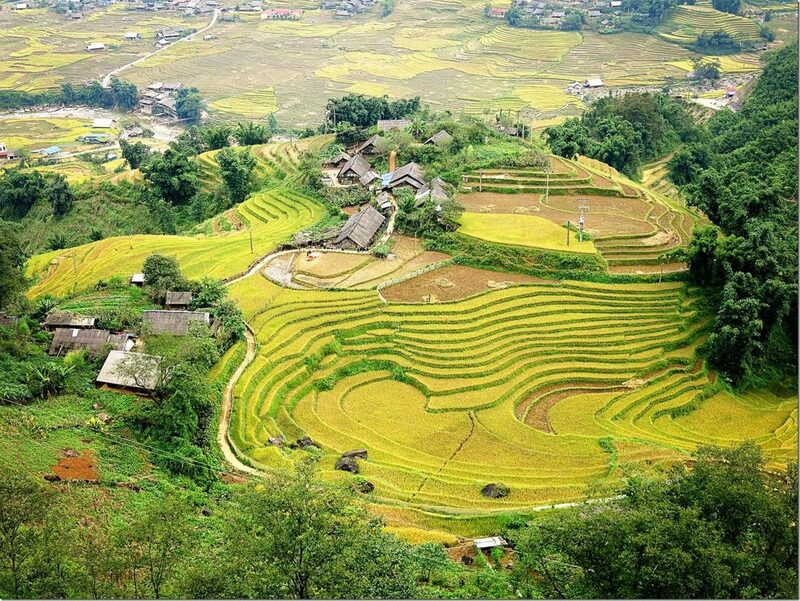 Enjoy a 12 km hike from the township of Sapa through the rice paddies and various H'mong villages. Awesome! 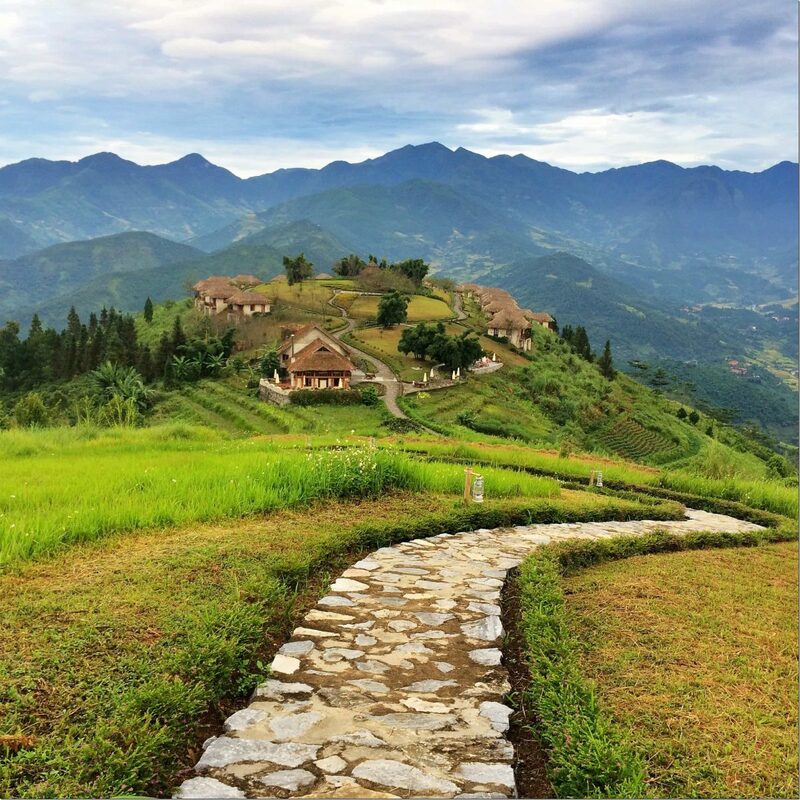 Check out our blog post on the Hike through the valley of Sapa. Chill out in the ‘Bora-Bora-like' picture-perfect landscape, with 360-degree views on the Hoang Lien Son Mountains, rice paddies local villages. Enjoy the peacefulness of this magical place. I don’t know about you, but when we saw this place, we simply had to stay here! You can check out our review of the Topas Eco Lodge here. 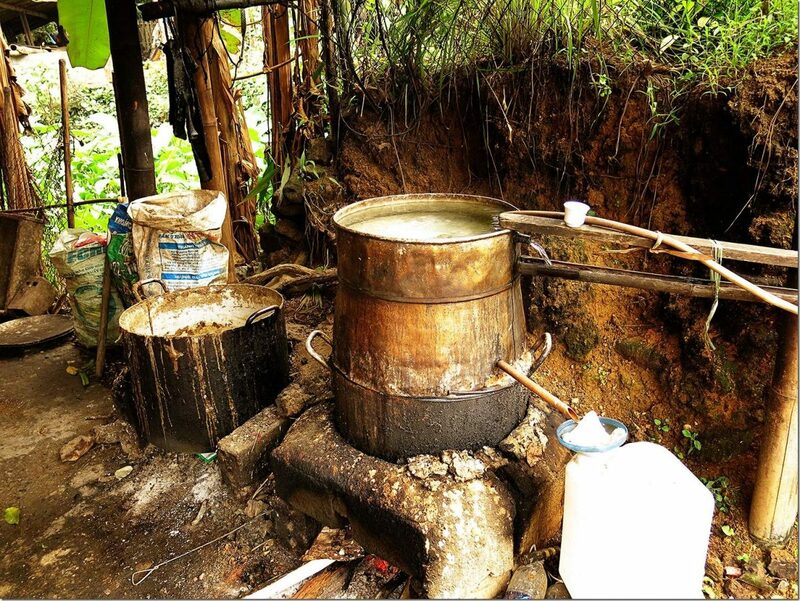 Indulge in the local homemade rice vino. Now, this stuff is super strong haha… So if you are used to the wine with a low percentage, you will be tasting something more like a liquor here! Tasty, but fiery! To travel on this train is truly an experience and a half. 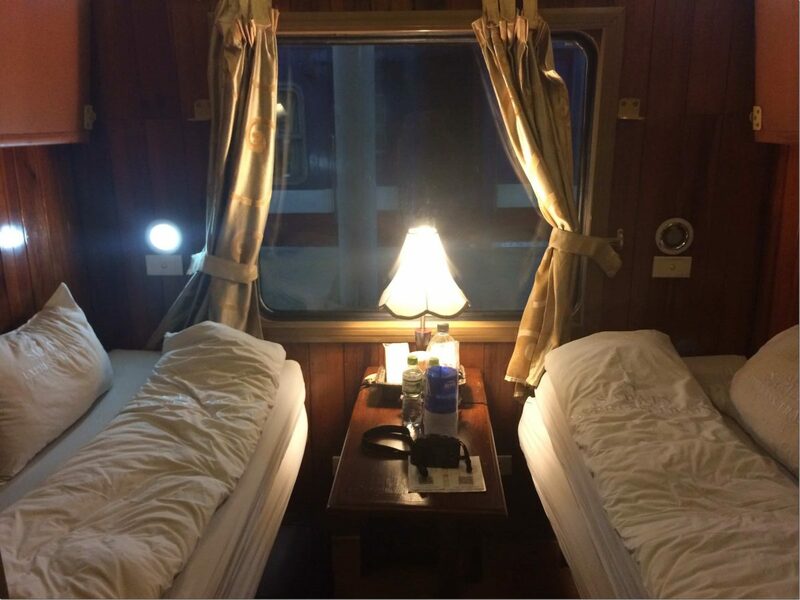 A 70-year-old French-built train, a journey all the way from Hanoi to Sapa, a pretty shaky and rocky overnight adventure. A truly one of a kind experience that you simply must do. Follow the link to see our blog post about the Sapaly Express Train. 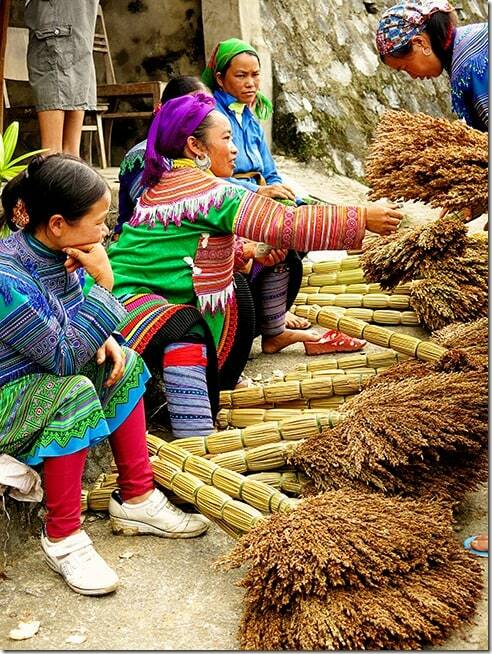 Local minority groups gather at the Bac Ha markets every Sunday. 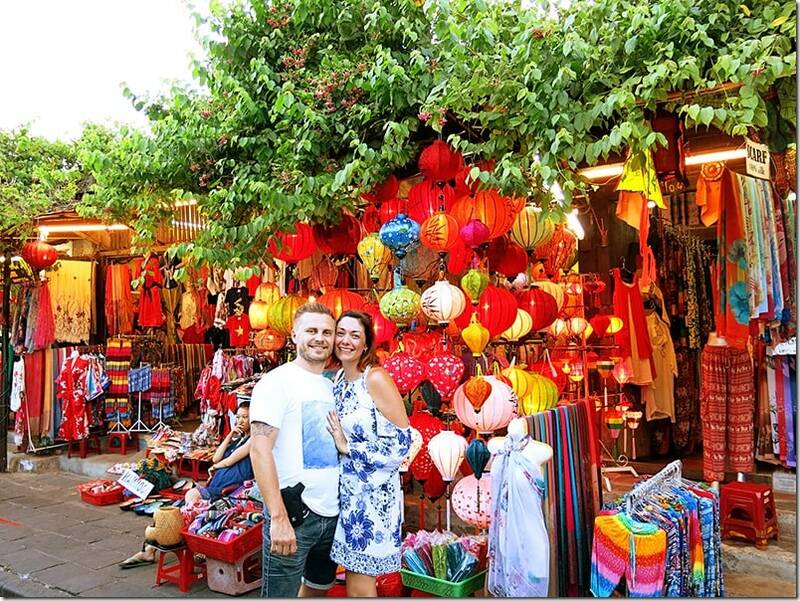 These markets are truly unique and you can find all kinds of a hand made things like brooms, intricate souvenirs and colourful clothes. Piles of tobacco, freshly chopped meat and fish markets. You can buy a pet, working buffalo or a pig. And of course, indulge in a variety of delicious dishes. Yumm! Hanoi!! What is not to love about Hanoi! A city that can be explored day after day! 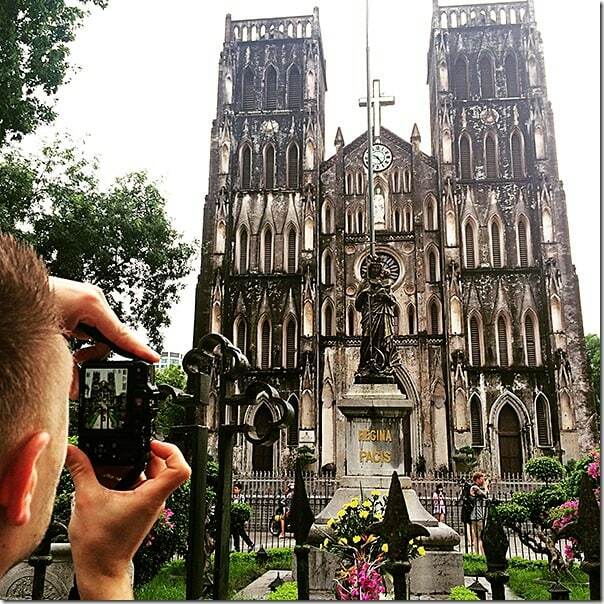 Make your way to see the Notre Dame of Hanoi, get lost in the little alleys of the Old Quarter, enjoy the bustle of the local activity and marvel at the way that food is cooked and prepared! Very cool! Here you can find the Top 5 Must See Tourist Hanoi Attractions. 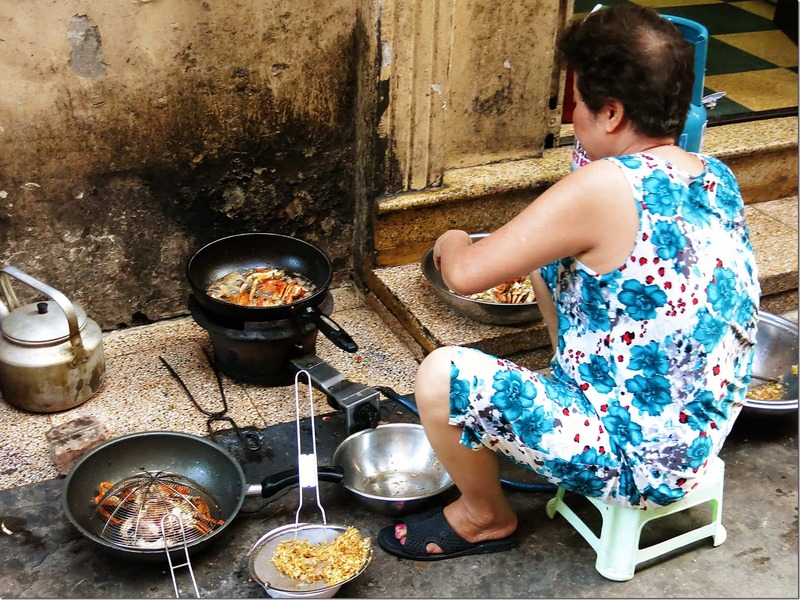 Go on a wander through the Authentic Hanoi and see what really happens behind the curtains of the shop front streets. 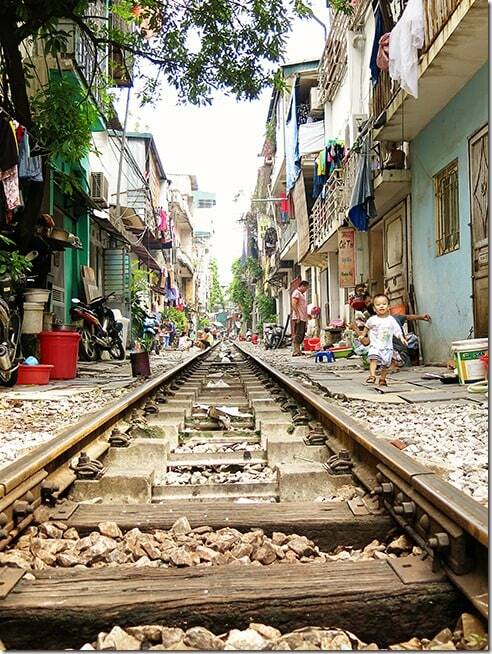 This will give you an insight into how people live in Hanoi. A must on your list of things to do in Vietnam. 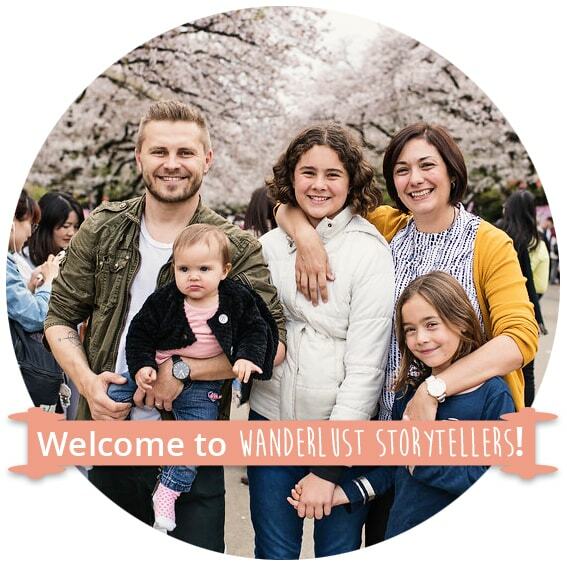 I think the true fun of a new destinations lies behind what the guidebooks tell you to see, explore further and beyond! 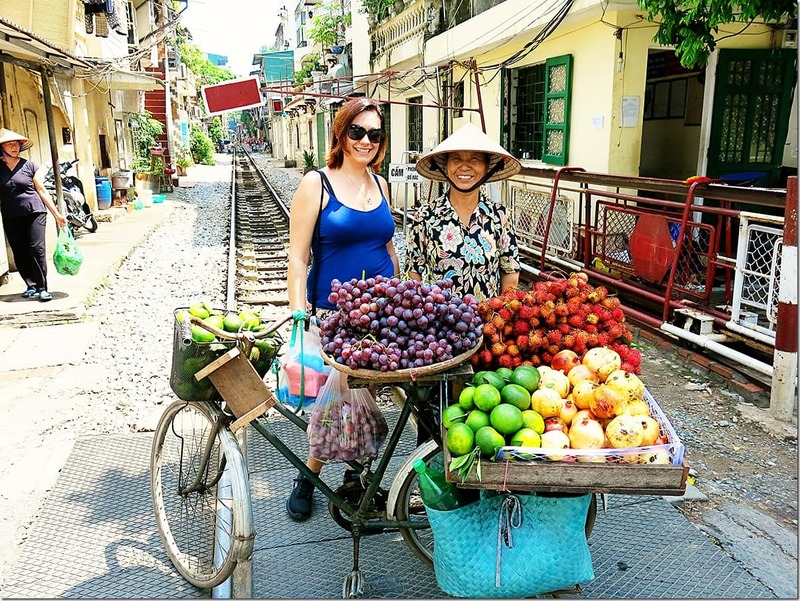 To read more, click Authentic things to do in Hanoi. You will meet a lot of street vendors and they all have something yummy to sell you. Take time to try something new, some fruit that you never had before or some dish that everyone else seems to enjoy! 9. Spend a Night on a Little Plastic Stool! In order to truly have a taste of Vietnam, pull up on one of the tiny plastic chairs and the smallest table you will ever sit at and stuff your face with delicious food till your belly bursts. Order a table FULL of food and drinks! With such cheap prices, you don't even have to think twice, plus that way if you don't like something, you can simply try something else! It is what the culture is about, simply hang out on a little plastic stool all night long! It might just one of the best nights of your life, you never know! Right? YUMM!!! Do I even have to say more?! Ok ok… Super creamy, smooth and extraordinarily delicious Egg Coffee is a one of a kind coffee. Now I am talking to all coffee lovers here. You must try this one when you are in Hanoi. Find Giang Cafe and take a moment to enjoy pure perfection. 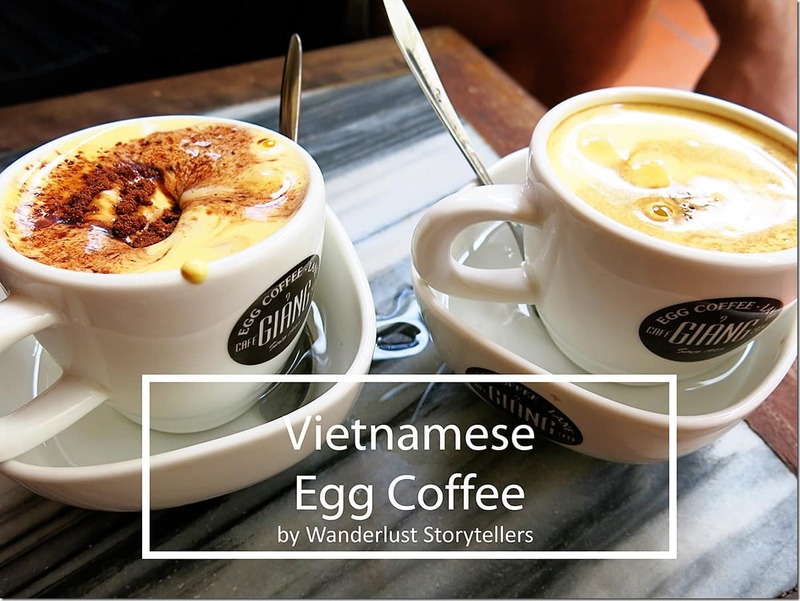 Check out our blog post and a video on Vietnamese Coffee. 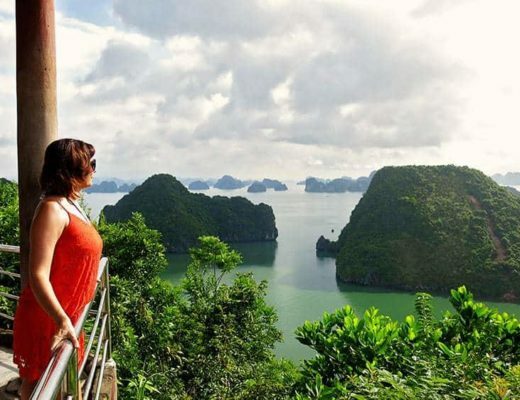 Halong Bay is yet another one of those places where the 360-degree views just take your breath away. This is truly a spectacular panoramic lookout. The climb might not be as much fun, but the cruise there and the view from the top sure tops the list of spectacular moments! Take a break from reality and spoil yourself. 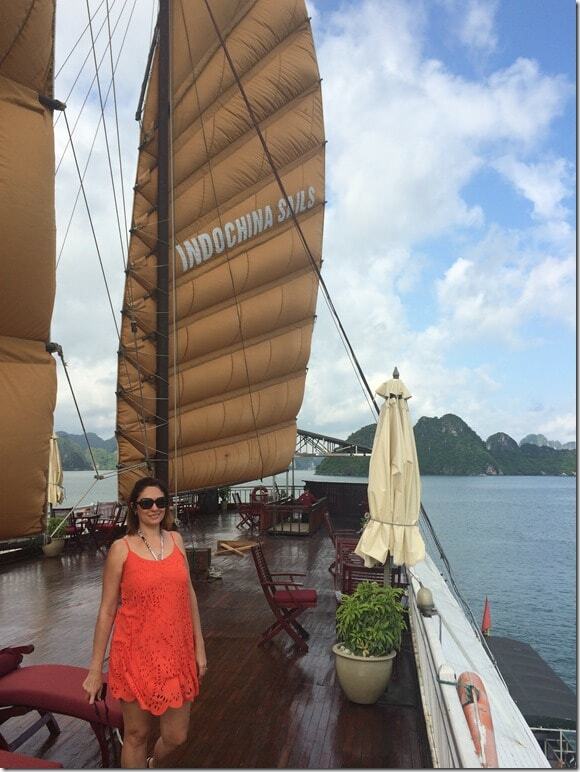 Enjoy a Halong Bay overnight cruise, cocktail in hand whilst cruising through the amazing Halong Bay. 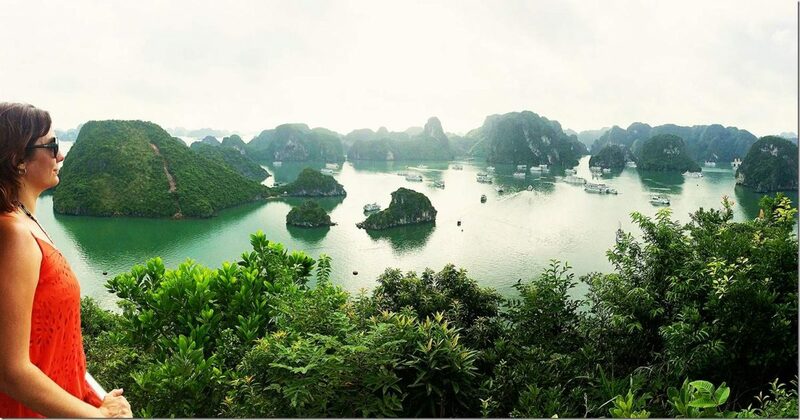 This is a cruise to remember and another must on your things to do in Vietnam list. Have some fun jumping into the water from the second level of the Junkboat, go through various caves on your kayak and try your hand at some squid fishing! 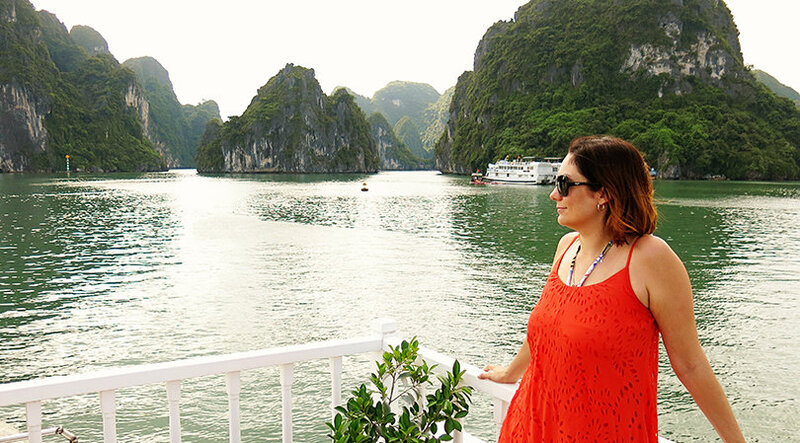 Read our post about our love for Halong Bay here. This place is magical. During the day the Old Town of Hoi An will provide you with sensory overload. Awesome food, enchanting streets, multitude of history and plenty of shopping. At night… The Old Town thrives. The beating heart of Hoi An will mesmerise you. Colourful and beautiful! 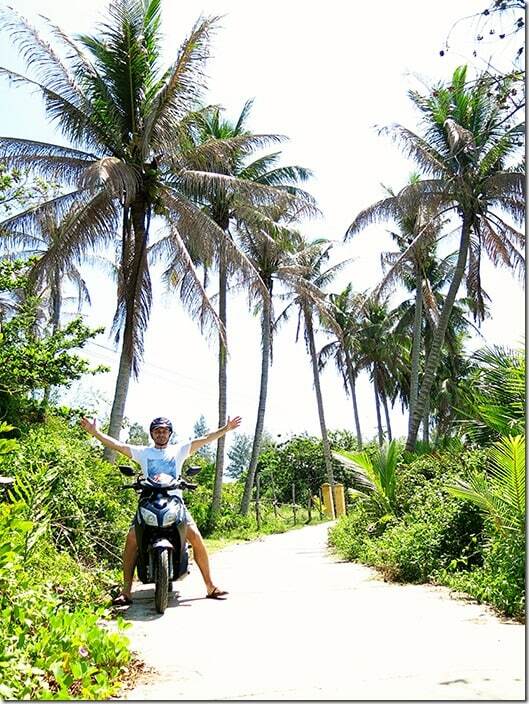 Nothing more fun then wind through your hair and a smile on your face when riding on your own scooter or a motorcycle. Total freedom to go where you want! What a way to explore the real Vietnam! Veg out in style and relax on the beach… no need to say no more. We all know beach days are fun!! Memories that last a lifetime! We will definitely be going back for more of Vietnam. A truly amazing place to visit! A country that you offers you ‘fun' for a super cheap price. Which one of the 15 fun things to do in Vietnam caught your eye? When are you going to book your ticket to Vietnam? 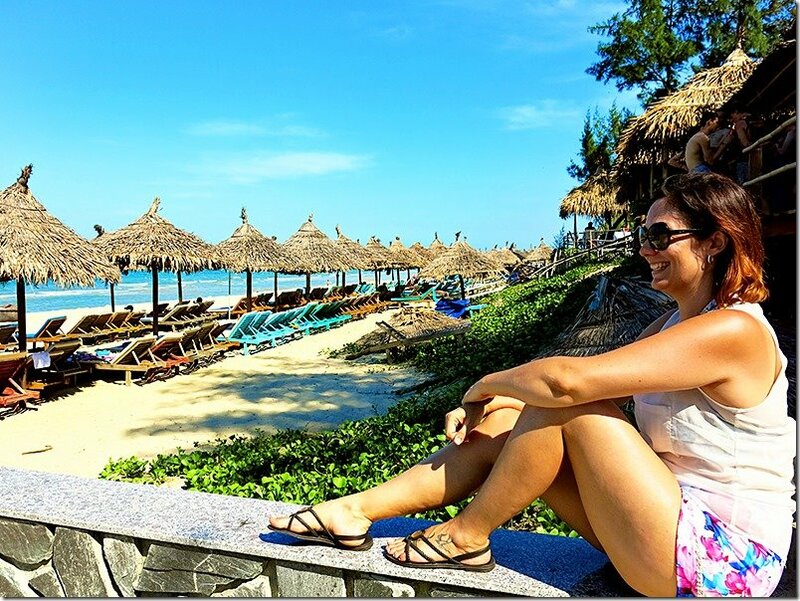 Why not read about the Best Things to do in Vietnam by Lili's Travel Plans! 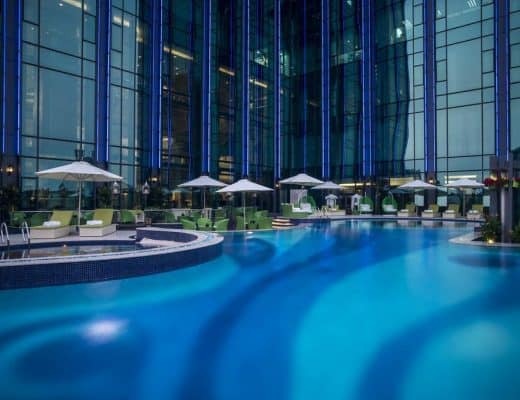 Wondering where you should stay in Vietnam? Read our very popular post here! 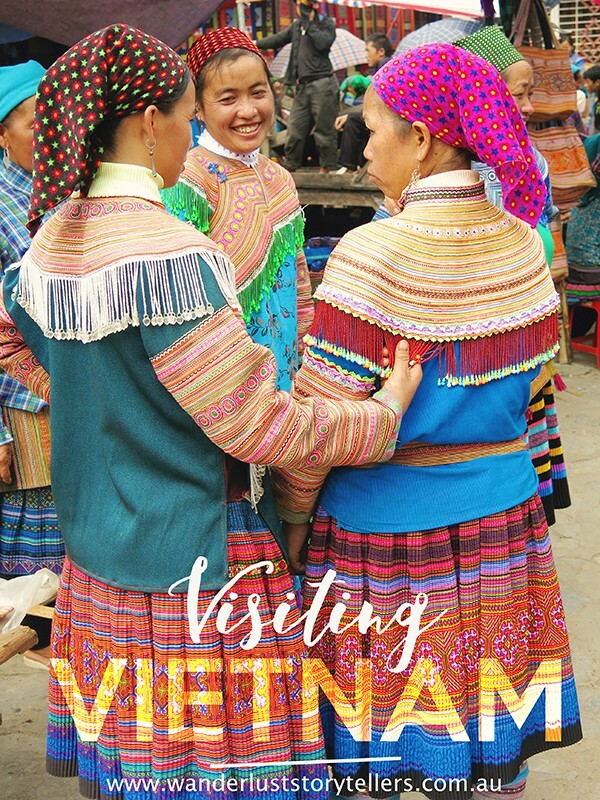 If you would like to read more about Vietnam, click here. Experience the Unbeatable 6-Star Luxury at the Reverie Saigon! Andrzej, I LOVE THIS POST!!! Vietnam is gorgeous and you obviously totally enjoyed it! I even read your article about vietnamese coffee, I see you also tried Iced Coconut Coffee Vietnam Style! YUMMY!!!! I just got back from 3 months in Vietnam. Yes, we are hoping to return to Vietnam again this year! So much to love there 🙂 3 Months in Vietnam sounds perfect!! There are surely lots of things to do and visit here in Vietnam. We have the finest beaches, beautiful sceneries, and vast culture. I’m glad that you really enjoyed your stay here and had fun eating our foods! We are coming back in July to eat more good food!! Can’t wait 🙂 Best food ever!